Where to begin? It’s one of the world’s most visited countries, home to one of the world’s most renowned cities, and has captured the imagination of locals and visitors for centuries. Whether you seek the bustle of city life, the sunny coast of the Mediterranean, quaint towns seemingly lost in time, or the majesty of the Alps – this country has it. 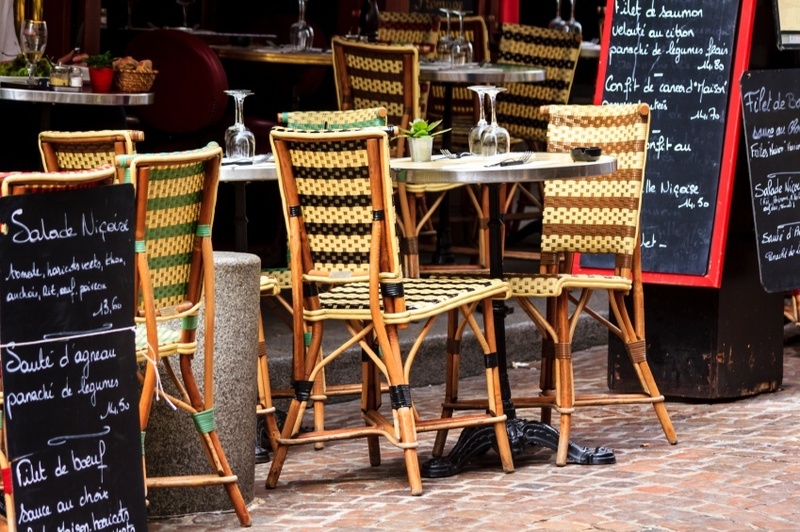 We’ll take a look at where to go in France, what to see, and how much it will cost. Like much of continental Europe, the transportation options in France are plentiful and top-notch. Think of Paris as the centre and you’ll be able to travel out to whatever part of the country you choose. Car rentals are a great option if you want to explore the remote countryside, while trains will serve you well getting from one city to another. The high speed TGV is fast (duh), regular, and comprehensive – with car rental options in nearly every city train station. Weather wise, you can make a trip to France anytime of the year (though expect it be colder and wetter in the winter months). Summer can be busy and expensive, plus late July and early August are often referred to as le grand depart in Paris (where the locals leave and the tourists reign supreme). September and late spring are great times to visit (especially the latter), if you want to take advantage of good weather, slightly cheaper prices, and the typically vibrant lifestyle of the big cities. Obviously if you’re looking to ski in the Alps, visit in the winter – but expect some other destinations to be slightly less pleasant. La Ville Lumière, the City of Light, the City of Love, Paris. Whatever you call it, there’s no denying that the French capital is one of the world’s great cities. Of course there’s the famous landmarks, monuments and museums – ranging from the iconic Eiffel Tower to the Louvre. Take in the grandeur of the Champs-Élysées, wander amongst the many cafés and bars, or catch a show at the Moulin Rouge (if you’re old enough). There’s only so many superlatives we can use and examples we can give for this unforgettable city, so we’ll just say that no trip to France, check that…Europe, is complete without exploring the city’s twenty arrondissements (districts). Everyone has his or her own experience and opinions when it comes to Paris, and it’s up to you to craft yours. Paris might be home to some opulent displays of wealth, but nothing quite comes close to the Palace of Versailles. This former home of the French monarchs (starting with Louis XIV) is just a quick trip from the capital, making it a cheap and convenient side trip out of the city. The massive gardens are second to none with fountains, ponds, towering hedges, and more, but it’s the inside of the Palace that really impresses. Every room is massive, and there are so many of them that you very well may get lost. Stop in the on site restaurant and quite literally eat cake in the one time home of Marie Antoinette. In its day, this was arguably Europe’s major political centre, and it remains the most impressive display of a king’s power and wealth on earth. This rugged peninsula offers a unique getaway into a slightly different culture than other parts of the country. It’s actually one of six recognized Celtic nations, with the other five all found in the British Isles. This connection to Celtic culture can still be found as you wander amongst the picturesque, windswept coast, explore the quaint medieval towns, and sample amazing cuisine. For art enthusiasts, the small commune of Pont-Aven is home to some of the most famous settings in late 19th century French art, with a museum and school still there today. There’s a lot to see here both along the coast and in the lesser-traveled interior – but it all feels a world away from the sometimes-overwhelming bustle of Paris. And that landmark is Mont Saint-Michel. This abbey is located on an island that is loosely connected to the mainland during low tide, making it one of the most impressive religious sites in Europe. With a new bridge recently opened, the abbey is now much easier to reach, however that hasn’t impacted the charm of this eye-catching locale. 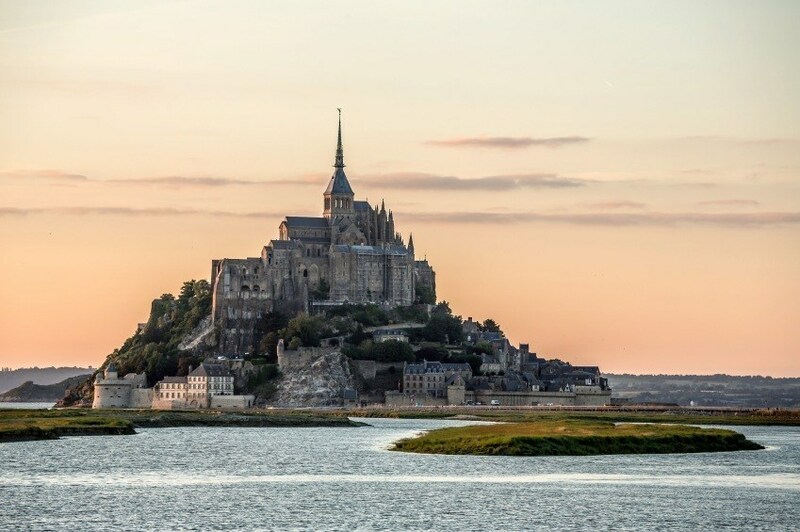 While there are other similar offshore structures like this throughout Europe, Mont Saint-Michel is (like much of France) the most impressive and well known. However, you should be prepared for an abundance of tourists and a lot of stairs to climb when you visit. We already featured Colmar on our list of ‘Europe’s Best Medieval Cities’, but this fairy-tale come to life deserves another mention. The multicoloured buildings, winding streets, canals, and bustling squares will capture the imagination while the region’s famous wine will add to the romance. 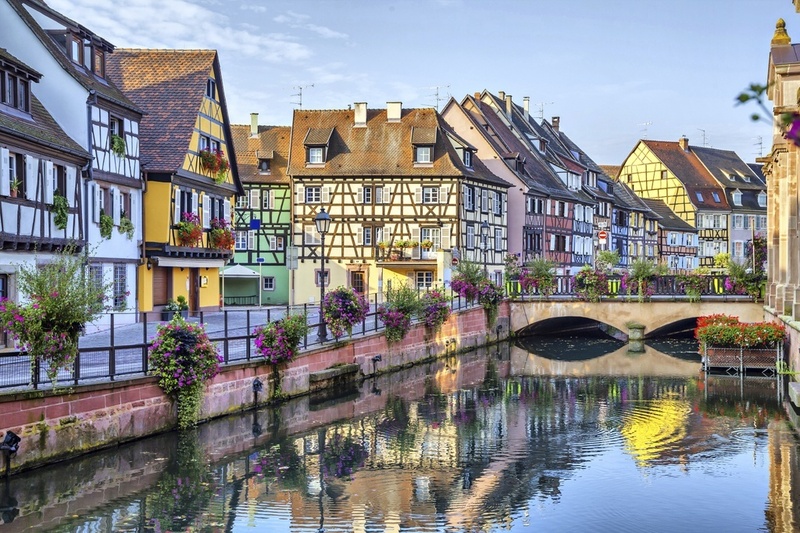 All told, Colmar is the complete, classical French package – and one that will make you believe you have truly stepped back in time. Located right on the border with Germany, this French city provides an intriguing mix of the two distinct countries. The city has been at the centre of conflict between France and Germany, but also a centre of diplomacy, reconciliation, and European politics as a whole. 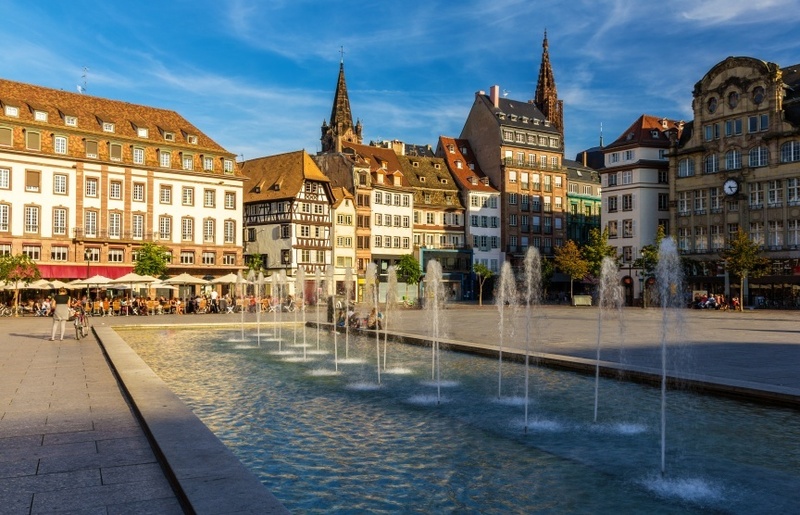 Beyond Strasbourg’s unique heritage, you can expect a vibrant cultural scene with festivals, markets, and a large student population. Throw in some Germanic architecture and winding cobblestone streets, and you’ve got yet another city you can’t afford to miss. A centre of industry, finance, and business for centuries, Lyon is often considered France’s second or third most important city. While the work ethic is strong, there’s quite a lot to do when you want to let your hair down too. Clubs, bars, an abundance of students, great food (as always), some of the country’s best non-Parisian museums, and more are all options when you want to see how the city’s residents spend their free time. Without the crowds of tourists that are often found elsewhere, Lyon can be a surprisingly authentic stop on your trip. Located on France’s beautiful south coast, the country’s second largest city is a bit of a tricky one to describe. On one hand, there’s a wealth of different cultural sights thanks to years of immigration and Marseille’s importance as a port. Shopping, food, bars, and clubs are of course all available in easy reach here. On the other hand, there’s a very gritty feel to the city that isn’t always the ideal tourists are looking for. 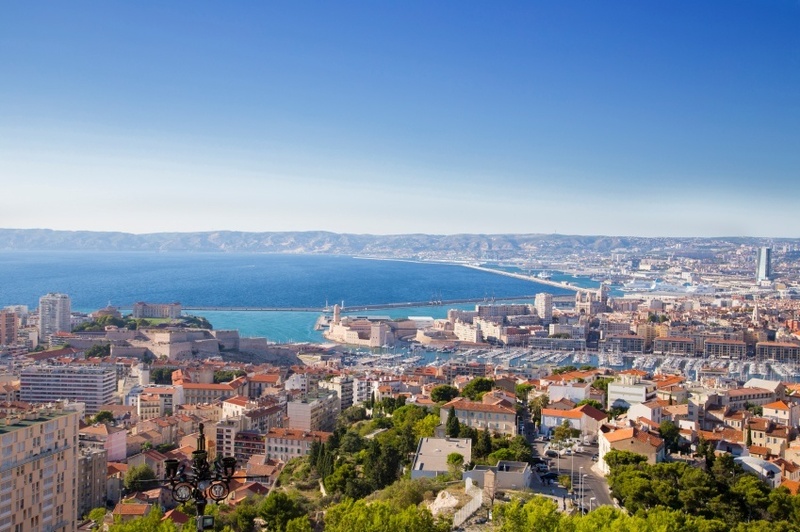 We definitely recommend paying Marseille a visit, if only to see the famous Notre-Dame de la Garde and get a taste of actual French life on the Mediterranean. Afterwards, feel free to set sail for the more idyllic locations nearby. 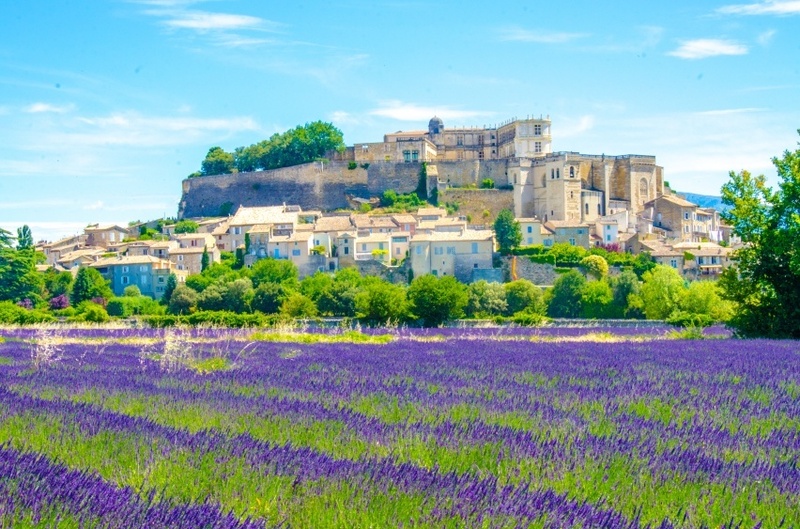 This brings us to Provence – the region Marseille is actually found in. Sea air, beaches, vineyards, cities, Roman ruins, some of the world’s best food, art and architecture – you’d be hard pressed to find a better place for any of those, let alone all of them. Around every corner – whether on the coast or the spectacular interior – you’re likely to find a landscape more breathtaking than the last. There are a lot of potential bases here besides Marseille from which to discover Provence, so be sure to get out there and explore! Marseille might be the bigger one, but Nice is the must-see city in Provence. With the impressive backdrop of mountains on one side and the sea on the other, the location is second to none. There’s a vibrant mix of French and Italian sensibilities and styles here – but it all comes together to create one of the jewels of the Mediterranean. This is a working city too, not just a museum – so expect a wealth of things to do, people to meet, and places to go. 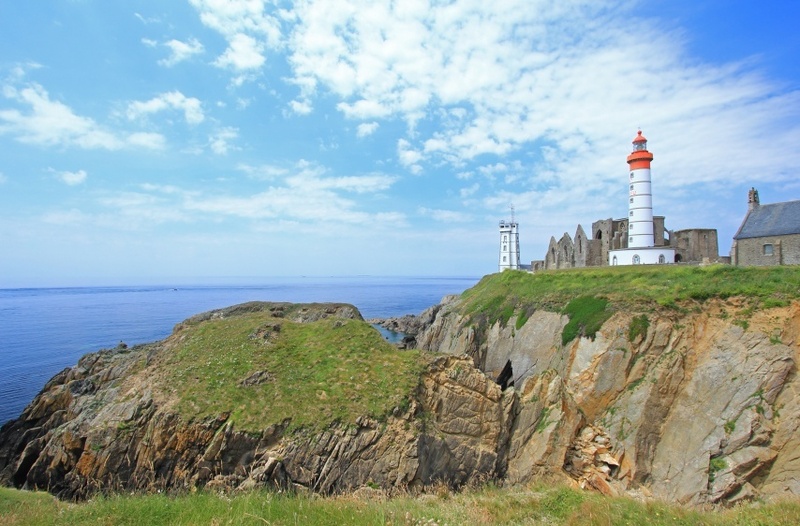 Rugged coasts, sun-drenched beaches, rolling hills, massive cities – France seems to have it all. We’d be remiss however if we didn’t at least mention the mountains. For what is a relatively small country (at least by North American standards), the sheer diversity of landscapes is staggering, with the Alps perhaps the best example of this. In France’s portion of Europe’s most famous mountain range you can find Mount Blanc (the continent’s tallest peak), some of the world’s best skiing, hiking and biking options (in the non-winter months), and much more. The scenery is absolutely spectacular, and offers a welcome side trip for those who want to see the wild side of France. Flights between Pearson and Paris can vary wildly, with a round trip starting around the $1000 Canadian mark. If you’re visiting other parts of Europe first, there are often cheap flights and trains you can take to get to and from France. Play around with your flight time, destination, trip itinerary, etc., to get the best possible rate. There are occasional deals as well, so definitely do your research before booking. Price-wise, France is generally about on par with other Western European countries that use the euro. That being said, some parts of the country (read: Paris) can be quite a bit more expensive, especially if you visit in the summer. 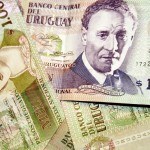 In general, expect to spend about $215 per day with a budget of $135 for accommodation and $41 for food. More thrifty travelers can probably travel on about $75 per day while living like Louis XIV will cost closer to $680 per day. 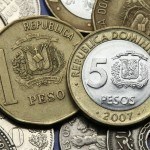 Overall, it’s not a cheap country to visit – but that doesn’t mean you can’t save if you make a concerted effort to. 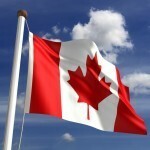 Like most of Western Europe, France is considered a safe country and, as such, the Canadian Government recommends normal security precautions throughout. That being said, petty crime is a danger in cities and heavily touristed areas. Thieves are skilled and often work in groups, so stay vigilant. France maintains a terror alert system, with the level raised since the Charlie Hebdo attacks. As a result, the police and military presence is raised in many places (though it was always common to see police or military patrols in busy areas). Overall though, if you’ve been to France before, you know it’s safe. If you haven’t been… you’re missing out. These are just a few examples of where to go in France, there’s tons more to see and do. If you think somewhere else should be on the list, let us know in the comments. 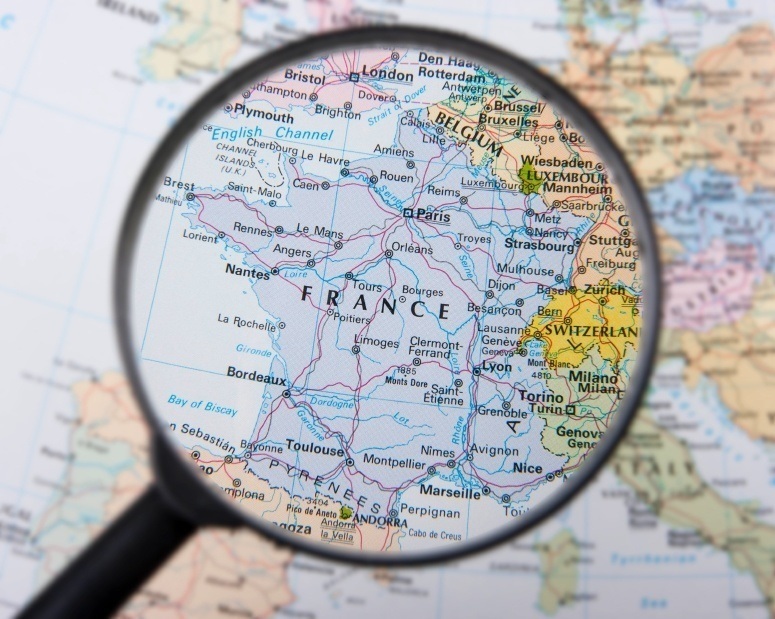 Check out our Country of the Week for more general information about French history and culture as well as our Currency Spotlight for information on the euro.